Mill Basin, Brooklyn, NY (January 7, 2019) – A firefighter who had been responding to a car accident on a Belt Parkway overpass tragically fell to his death on Sunday night, January 6. The deadly accident took place after firefighters were called to the scene of the crash at around 10:00 p.m., according to authorities. A two-car crash took place on an elevated section of the highway over the Mill Basin, prompting a response from the firefighters with Ladder Company 170. 30-year-old Steven Pollard was among the firefighters who arrived at the scene of the crash. Pollard and the others had arrived from the opposite direction and had to cross over the roadway to assist the any injured victims. While attempting to cross the roadway, Pollard was reported to have slipped through a three-foot wide space, falling approximately 52 feet to the ground below. Emergency medical crews were at the scene and promptly transported Pollard to Kings County Hospital where he was sadly pronounced dead. No further details concerning this incident have been made available. An accident such as this one is a tragedy all around, and our thoughts and prayers are currently extended to the loved ones of Steven Pollard, first and foremost. We also offer our gratitude to the numerous firefighters who risk their lives while helping others each and every day. 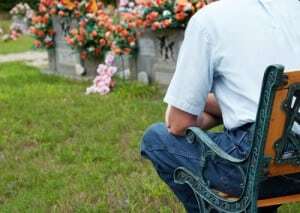 While as a firefighter, the risk of death may be part of the job, however, a wrongful death in New York may be classified as the loss of a loved one due to another party or other entity. At Hach & Rose, we understand the immense pain and suffering caused by the sudden loss of a loved one. We understand that it is reasonable to assume some level of protection for each and every member of our community, particularly while they are performing their work duties. If you have lost a loved one due to a wrongful death in New York, please don’t hesitate to call 212-779-0057 today.